Beyond being known for its pink sand beaches and quirky fashion choices, Bermuda is also notable for its accessibility. And if it’s not, well, it should be. After all, not only is the island reachable via two-hour flights from most east coast gateways—plus daily service from British Airways to London—but Bermuda is well-served by an ever-expanding cruise industry at a whopping three ports: Hamilton, St. George’s and Kings Wharf, which sees some of the largest ships in the world (like the Norwegian Breakaway pictured above). Of course, if you’re arriving by ship you’ll have a lot less time to spend in Bermuda then most folks. 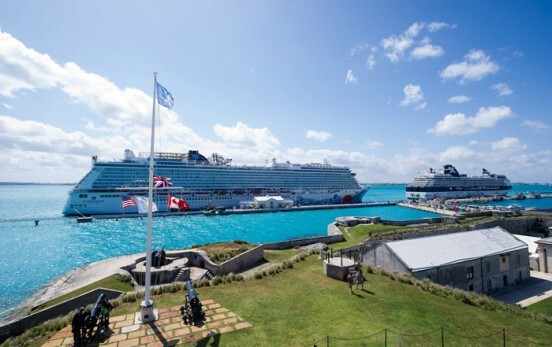 So if that’s the boat you find yourself in then you’ll definitely want to read on for my Insider’s Guide to Bermuda—a handy cruisers guide to the island now appearing on Bon Voyage magazine. In addition to a few insider tips—like how to get a luxury beach resort experience without checking into a hotel or where to get the island’s best fish chowder—you’ll learn about some of my favorite places to eat, stay and play right here in Bermuda (and in most cases, they’re just steps away from the island’s trio of cruise piers). So what are you waiting for? Read my Insider’s Guide to Bermuda on Bon Voyage magazine today!